I believe that all the known placentalian arboreal adaptations are secondarily derived from a terrestrial stem—a point that has been amply documented before. The previously elaborated explanations that pointed to the derived nature of pedal mobility in the lower ankle joint (Szalay, 1984, 1994) in pla-centalians are also corroborated from other areas of the skeleton in the known Early Tertiary representative of eutherian orders. While the issue of Archonta will continue to be debated as new fossils are described, the morphotypic skeletal adaptations unique to the euprimate stem are relatively well established (Dagosto, 1985, 1986, 1988; Decker and Szalay, 1974). Among other attributes, the early euprimates had a flattened ilium to accommodate a musculature hypertrophied for leaping. They had fast, deep, and highly stabilized knee joints superbly constructed for powerful leaping in conjunction with a foot that had an equally speed-adapted upper ankle joint capable of rapid flexion, combined with a highly helical lower ankle joint articulation, totally unlike we see in arboreal didelphids. Although the general condition of the upper ankle joint is a eutherian one, the euprimate condition is highly derived in its astragalar construction for extensive flexion-extension (with its great angular distance of the tibial articular surface) and the attendant speed. While the euprimate feature for obligate inversion was held over in the lower ankle joint from its archontan ancestry (and further evolved for specific regime of locomotion on arboreal substrates), this happened within the highly constrained cruropedal contact that characterizes eutherians (Szalay and Decker, 1974). Neither merely obligate arboreality, as such, nor visual predation accounts for the postcranial heritage of the euprimates acquired from their last common ancestor. The transformation of claws into nails, and the evolution of hypertrophied feet (compared to smaller hands) and powerful pedal grasping coupled with mechanical solutions of the entire pelvic limb do, however, account for a particular kind of arboreality. These features are related to explosive long jumps, combined with the precise ability to grasp small branches when landing usually with the feet first. 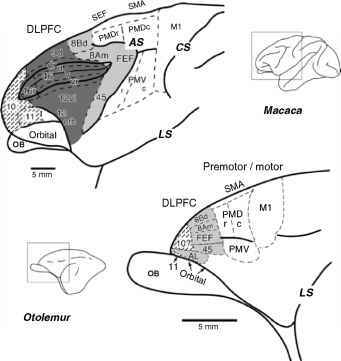 Grasp-leaping appears to have been the morphotypic locomotor mode for the stem lineage of the Euprimates.